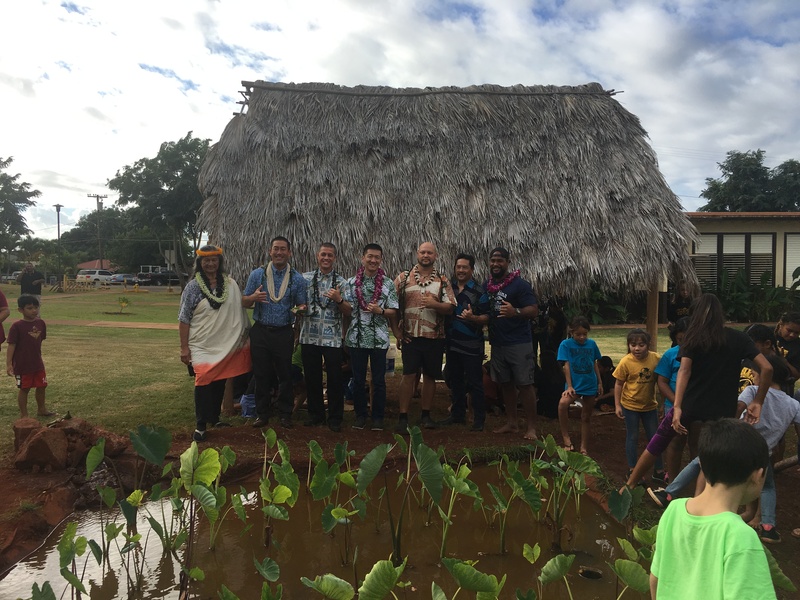 The Hawaiʻi State Department of Education (HIDOE), the Hawaiʻi Department of Agriculture and The Kohala Center are working collaboratively on the Farm to School Initiative. Across the nation, farm to school programs are reconnecting students to a better understanding of the food system and where their food comes from. Farm to school programs introduce students to healthier eating habits and help them become familiar with new vegetables and fruits that they and their families will then be more willing to incorporate into their own diets. The Project began in the Kohala School Complex, located on Hawaii Island. 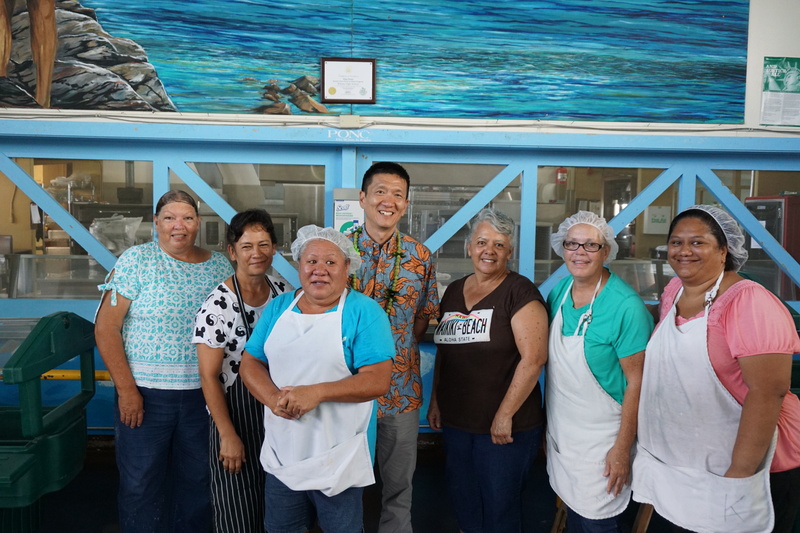 As an ideal “learning and menu creating lab,” a single kitchen serves all three schools in the complex — Kohala Elementary, Kohala Intermediate and Kohala High Schools. As a rural community, they are committed to increasing their local food production. After implementation, the Project team conducted an evaluation of successes, opportunities and obstacles to guide larger HIDOE implementation of successful Farm to School strategies (kitchen skills, procurement strategies, community connections, articulated policy, new menus, etc.). In January 2018, the Project, renamed the ‘Aina Pono Farm to School program, expanded to Mililani High School, which also services meals for Millilani Mauka and Mililani Waena Elementary Schools. Mililani High is the second largest food production site in the Hawaii State Department of Education (HIDOE). 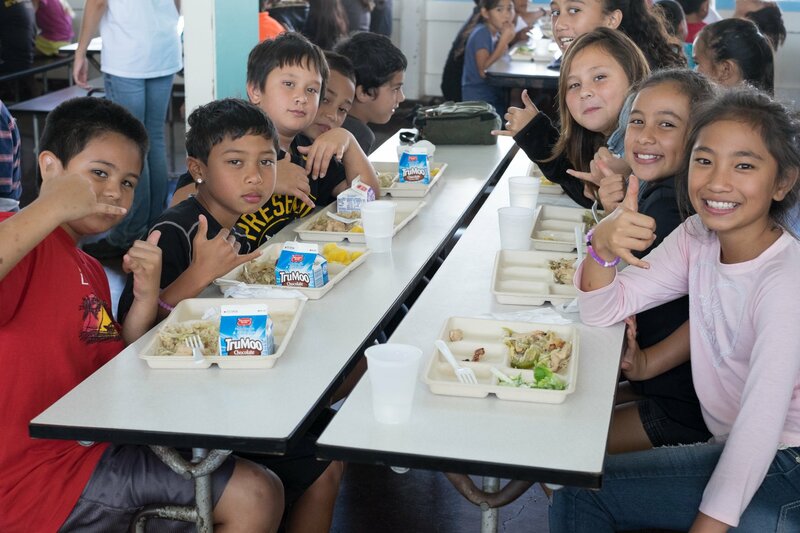 It provides about 2,500 school lunches daily for approximately 1,000 high school students and an additional 1,500 students at Mililani Uka Elementary and Mililani Waena Elementary. Successful Farm to School strategies learned in the Project will continue in the Project kitchen through HIDOE staff implementation, while rolling the next phase into a larger complex, to ultimately scale successful Farm to School strategies into HIDOE’s statewide operations. The Farm to School Initiative is a public-private partnership with the Lt. Governor’s office, HDOA, Hawaiʻi State Department of Health, HIDOE, Dorrance Family Foundation, Hawaii Appleseed, Johnson Ohana Charitable Foundation, Kaiser Permanente, Kokua Hawaii Foundation, HMSA, The Kohala Center and Ulupono Initiative.